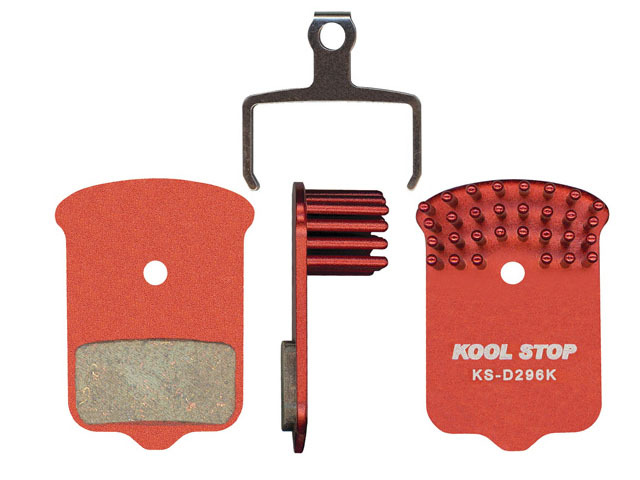 Could Kool Stop heat-sinking pads live up to name? Or will porcupad looks stop you in your tracks? Heat: the enemy of braking performance and hydraulic fluid alike. 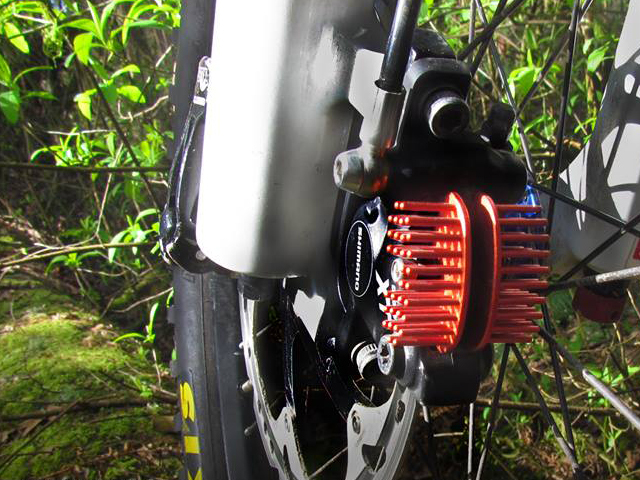 In essence, rim and disc brakes convert forward motion into heat- the more motion arrested, the more heat generated. Unfortunately, brake pads (and the hydraulics that drive them) tend to suffer when heated to extremes, making heat dissipation a priority. Of course, any heat evacuated through the pistons tends to end up in the brake fluid, so other routes must be found. 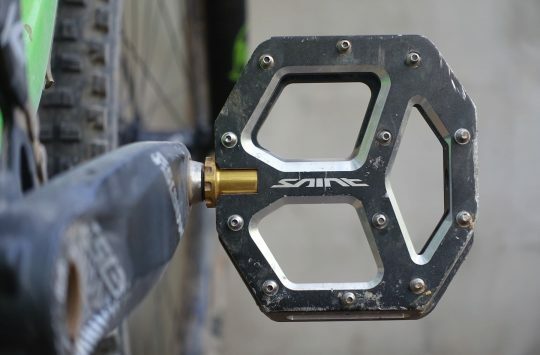 Shimano’s Ice-Tech suite of heat-fighting technologies has for several years included finned brake pads to remove heat into the air- and it was only a matter of time before we would see aftermarket pad companies following suit. 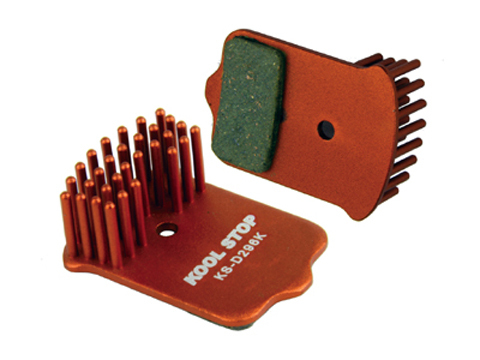 With their new Aero-Kool brake pads, aftermarket pad supplier Kool Stop has incorporated dozens of thin, long bristles into their pads’ aluminium backing plates. They claim that the needles “greatly reduce heat build up in the braking system and provide superior, lasting brake power.” Surprisingly little else is said about the organic pads -either by the home or EU offices- leaving the bright red anodisation and unique profile to speak for itself. The braking puns just won’t stop. Thanks in part to the electronics industry, formulas for determining optimum heat sink geometry are relatively well established. 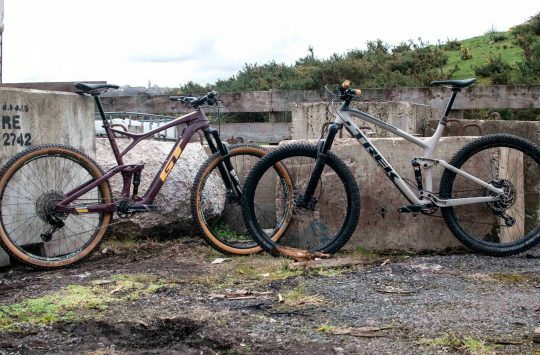 Which is why the Kool Stop pads’ visible difference from Shimano’s so surprising. Still, there are any number of ways to approach any engineering problem and only an instrumented test is likely to crown a winner. Aero-Kool models are available for current (centre pin) and previous generation (offset pin) Shimano brakes as well as Avid Elixirs. 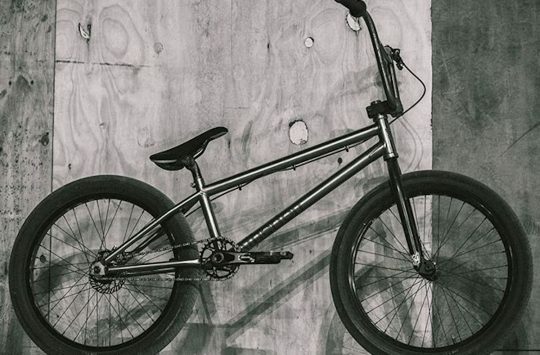 Pricing, according to Bikebiz, runs to €32.50 (£26.45) per set- though none of the brand’s four UK distributors look to have them in stock. Brakes weighing 3lbs each on a winter ride in the clay round here. That design does look like a massive mud magnet. Don’t fancy riding it through long grass either! Silly prices too. I couldn’t believe the Shimano ice-tech pads are about £28 an end (RRP), as opposed to the standard pads being about a Tenner. I know there’s a bit more material & work involved but even so…. What next, liquid cooling & fans?